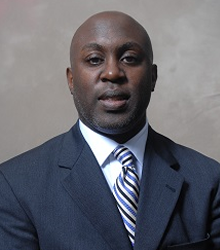 Dr. Phillips is currently an associate professor in the accounting department at North Carolina A & T State University. He teaches principles of accounting, accounting information systems and international accounting. His research interests include the strategic use of information systems, group dynamics of diverse systems development teams, user distrust of information systems and the behavior of individuals using social networking tools. He has published his work in Information & Management, Journal of Organizational and End User Computing, Issues in Information Systems, Journal of Theoretical and Applied Electronic Commerce as well as the International Journal of Virtual Communities and Social Networking. He has also presented his work at the Academy of Management, Americas Conference on Information Systems and the Decision Sciences Institute. Dr. Phillips has over ten years of corporate work experience in a variety of accounting and information system roles. In his accounting roles, Dr. Phillips has primarily worked in compliance and operational auditing at the National Futures Association and Verizon Wireless. In his information systems roles, Dr. Phillips has participated in systems development and maintenance projects. He has also worked at well-respected organizations such as PricewaterhouseCoopers, Sears, Roebuck & Co. and Andersen Consulting (now Accenture). Other experiences have given Dr. Phillips the opportunity to work in state and city government as well as consulting with small businesses as a consultant with the Small Business Development Center. He is a graduate of Michigan State University with a B.A. in Accounting and a PhD in Information Technology Management. He also holds an M.B.A. with an emphasis in finance from The University of Iowa. He is a certified public accountant licensed in both Illinois and North Carolina.